As this song continues, we see that it juxtaposes God’s goodness and righteousness with the unfaithfulness of Israel. It also acknowledges that, in spite of their unfaithfulness, God is ever faithful and would redeem them from among the nations. In short, Moses’ song is a prophecy of all the things that would come upon Israel from that time until the time of redemption. Obviously, this song was not something Moses had contrived of his own resources but was a manifestation of the inspiration that he had received directly from the Creator, the One who tells the end from the beginning (Isaiah 46:10). Another amazing thing to consider is that God gave this very poetic prophecy to Moses, in spite of his imperfections. God used a very imperfect man – a murderer no less – to lead a nation in such a way that, 3,500 years later, we are still talking about it. As a reminder of Moses’ imperfection, something that he allowed to be demonstrated on more than one occasion, just after reciting this prophetic song, God reminded Moses of his impending death. The life of Moses has many lessons from which we can learn things that we can appropriate into our own lives. One of the most striking things is that God can take anyone willing to submit their will to His, to follow Him, and be obedient to Him, and use them for a great purpose. Sometimes that purpose will never be known to the entire world, sometimes it will, but that’s not the most important thing. What’s important is that the person is willing to do what God has called them to do. It’s about being content in doing what God has called you to do, and especially if no one is ever going to know about it. It’s being willing to say what God has given you to say, whether people like it or not. Another important point we can learn from Moses is that he was a meek man. He was a man who really didn’t want the job he was called to do. In fact, that is probably what made him the perfect prospect for the job. That is quite compelling especially when we look at those, today, who aspire to lead people. 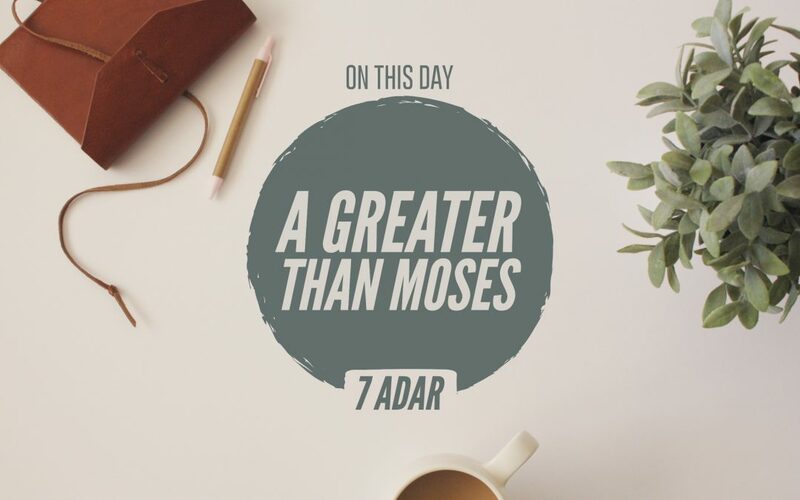 Finally, it’s important to remember that the Bible says that there would be One who followed Moses, who would be like unto Moses, but who was greater than Moses. He is the One who made it possible for imperfect people like us to come into right standing with the same God who called Moses. It’s the Messiah who makes it possible for us to impact and influence others, to lead our family, our community, our nation, and together, the world. Corporately, we have the ability in Him to directly influence the course of history, but not because of our goodness or our talents or our gifts. It’s not by our might, it’s not by our power, but it’s by His Spirit – if we are willing to submit and to be led by His Spirit.